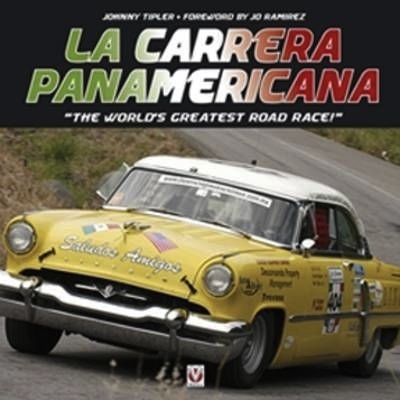 When you talk to participants of La Carrera Panamericana, you hear nothing but good things about this book—and they ought to know! 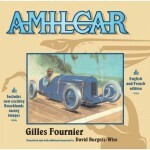 After briefly interrupting his journalistic activities by going back to school to study art history and doing a stint as conservator of medieval wall paintings author Tipler returned to the world of tire smoke and wrote over 30 marque-specific books and racing biographies since 1990 and edited or contributed to a string of magazines. And he certainly has the street cred to write a book like this. In 2006 and 2007 he accompanied the Panam as a journalist, trading rides in the press van for the occasional hitch in a service crew vehicle, which put him about as close to the action as you can get short of participating yourself. 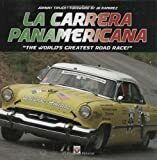 The original race ran only from 1950–1954 before being suspended until 1988 and was invented to celebrate the opening of the Mexican section of the Panamerican Highway that runs from Alaska to Argentina. Two thousand miles in five (now seven) days, traversing the length of Mexico as an “open test of speed,” the race was hard on man and machine—and still is. 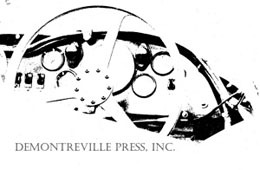 Tipler devotes almost a third of the book to the early years in an easygoing travelogue style, describing the Panam’s origins, modalities, and conditions. The many period photos are of great interest and accompanied by posters, brochures, book covers, maps, race results, and even a few photos of some of the old cars in their restored state, sometimes even with the same drivers from yesteryear (in their not so restored state). All the photos are credited and the selection gives a good impression of the types of cars, the camaraderie on the road, the hundreds of thousands of spectators cheering the cars on, and the atmosphere and even the vastness of the landscape. Several interviews with the luminaries of the day—such as Phil Hill, Carroll Shelby, John Fitch, Hans Herrmann— and other personnel make the story personal. The modern races make up the bulk of the book. The 1988–2005 era is dispensed with in all of 15 pages that detail the new route/s, new format, new rules, and new cars including a few words about building your own Panam warrior. Readers new to rallying will appreciate the excellent portrayal of the dynamic between driver and navigator, the cockpit interaction, and the supreme importance of pace notes. (If you thought the navigator is just there for ballast, prepare to be impressed.) This section, short as it is, lays the groundwork for the in-depth day-by-day coverage of the 2006 and 2007 events that follows. From uncrating the racecars to scrutineering and from briefings to banquets, the story paints a picture of the hubbub of pre-race activities and then portrays the rally day by day. The photos follow the text fairly closely but not all the delectable cars mentioned in the text are shown. Who wouldn’t want to see a Facel Vega with a Porsche engine! The photos are large, colorful, and as in the historic section give a gripping overall sense of the flavor of the race. There’s much going on and one only wishes Tipler could be in more than one place at a time. Many of the photos are full-page and the layout and typography are fresh and smart. One thing that no amount of words can describe are the vast elevation changes—from sea level to over 10,500 feet—and a graph overlaid on the map would have driven that point home very well. And you won’t be able to wait to turn the page and read all about it. 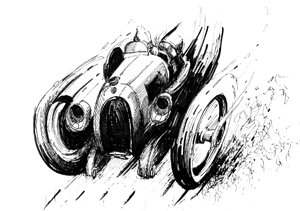 Appended are race results for the top five finishers in each class 1950–2007 and Resources (books, films, etc. ); the index is very good with people, car, and place names but light in every other regard.